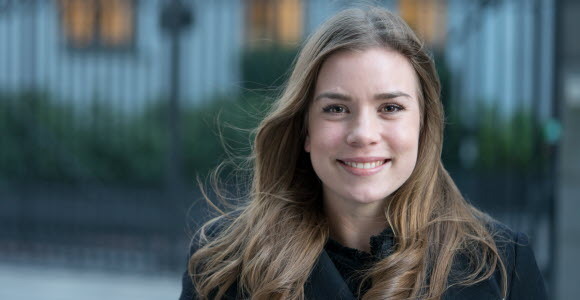 Kajsa Kuylenstierna was a summer intern in 2017 within Structured Finance (Investment Banking). In the interview, she shares her experiences and some tips for students who plan to apply for internships. What was your motivation to apply for the summer internship? I got a really good impression of SEB when I hosted an event for Scandinavian banks in London, so when I saw that SEB looked for summer interns I thought it would be a great opportunity to get to know SEB better. I found the schedule for the summer internship appealing since we would be a large group of interns with great opportunities to network and also with an interesting introduction week at SEB. What type of assignments did you have? During the summer I wrote annual reviews for existing transactions in our portfolio. Eg. I updated with recent events and went through the company's financial performance. I also participated in writing credit applications and assisted the team with various tasks related to new transactions. Every assignment was different since we work across different industries, which truly enhanced my learning experience during the summer. How did you experience the summer internship? Everyone at SEB were so welcoming and had no problems setting aside time for me. It was easy to call anyone and ask if they would like to have a coffee and explain what they work with. The internship group was also fantastic. It was another way to get to know different departments and we had a lot of fun together! Moreover, I must say that my mentor was one of the main reasons why my internship was successful. She made sure that I quickly got into the team and the daily business, and supported me throughout the internship. She also helped me connect with people within SEB and this network is much appreciated today. After completing the summer internship, I got the offer to stay within Structured Finance until the end of this year. Do you have any tips for students who are currently looking for internships? The best way to make sure that the internship is a great fit is to speak with someone working in the department that you are interested in or someone who have done the internship before. Alternative ways would be to research online, to build your own perception of the different departments where internships are available. Try also to pinpoint what your expectations from the internship will be and what you want to learn during the summer. If you struggle with which of the internship that suits you the best, don't worry. In the end, as an intern at SEB you will get the opportunity to see many other departments within the bank.